We live in the future- a future rich in movement, in technology, in machines. It can be hard to stay in touch and interact on a personal level, and in business this becomes painfully apparent. How do you build a successful business in this world full of noise and distraction? What can you do to bring in fresh faces and keep customers coming back for more? If everything feels so impersonal, how do you develop the relationships with your customers so that they will remember to mention you to their friends, their family, and even to strangers asking for recommendations in a late night Facebook group post? The answer is at your fingertips. You blog. Check out this handy infographic below, from the wonderful folk at Velvet Cartel. 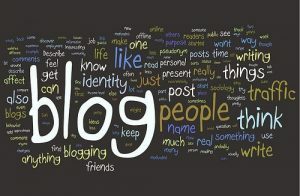 Blogging is the key to making contact and maintaining connections. You can lure in more inbound links with a blog- up to 97% more! With so much out there battering the senses, people are actively searching for an authority figure in your area of expertise- you need to help them find you and learn from you. 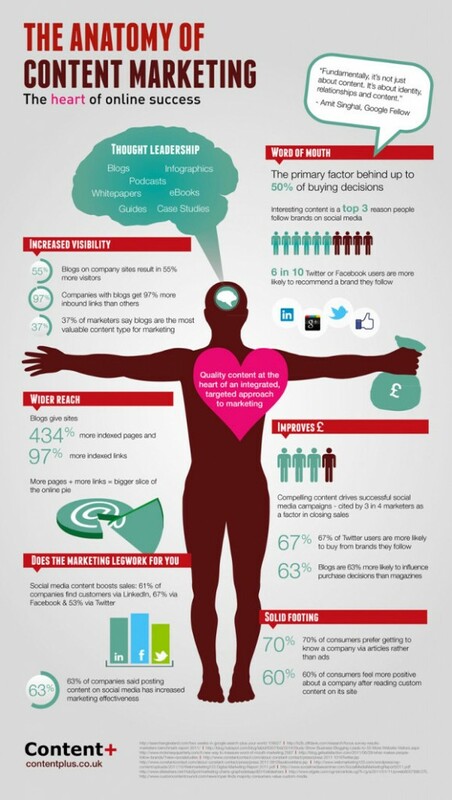 Content marketing is 70% more effective to draw people in than straight up advertising- people want to get to know you. Building a relationship with your target audience, engaging with them through blog comments and social media will inspire people to share their knowledge about your business with their friends. If 6 out of 10 Facebook and Twitter users want to recommend you over the competition because they enjoy following your business online, you can’t afford not to keep up your blog! A high quality, but stagnant website is not enough to bring them in- your customers want and need a personal connection and search engines need an excuse to come check you out. If you could up your indexed pages by 434% by blogging- why wouldn’t you? It’s a no brainer- let the Googlebots comb your content heavy pages, pushing your website higher in the rankings. We live in the age of Hummingbird, the Google search engine release from 2013, that rewards high quality writing and intelligent language. Take a look at this article about Google Hummingbird by Asher Elran, that analyzes the way Hummingbird performs and the ways in which we can all benefit from a return to natural language, while we move away from overly simple, stunted search terms that were always a gamble to work with. We are moving into the realm of conversation where anticipating consumer’s questions and needs in our writing has become more important. Don’t just blog- blog well, and blog often. Blog at least twice a week- the more frequently you blog, the more you are driving traffic to your website. We know that writing can be intimidating and we would love to help you with all your blogging and web content needs. The staff at Josiesque Designs will help you conquer the Googleverse one well crafted word at a time- contact us!